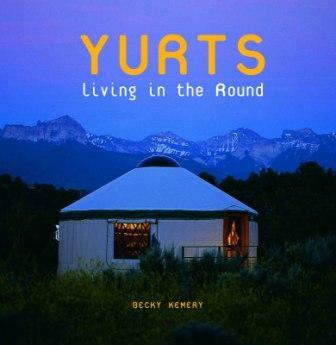 This comprehensive volume on modern yurts documents their history from ancient East to modern West and answers the most frequently asked questions about fabric yurts. Lots of photographs and stories and a substantial resources section. 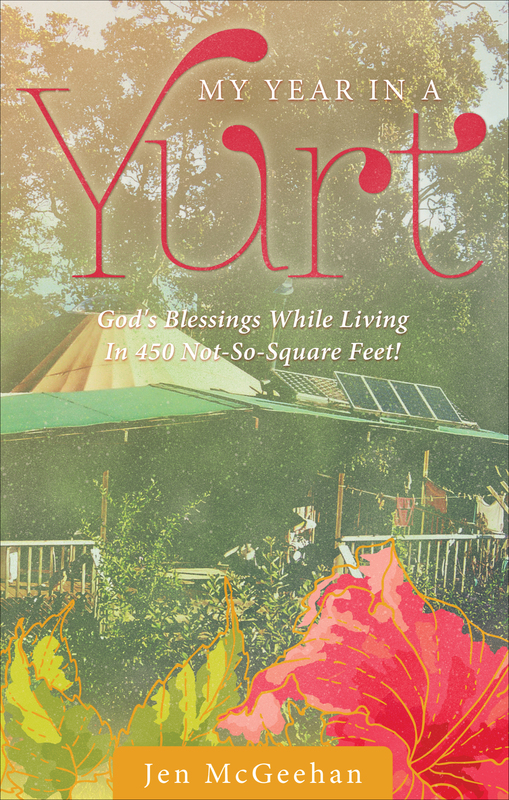 Want to know what it is like to live in a yurt? Then Becky Kemery’s delightfully-illustrated and well-researched book is for you. 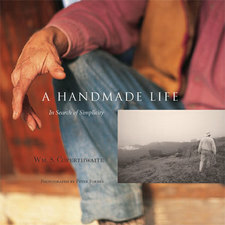 A Handmade Life carries Coperthwaite’s ongoing experiments with hand tools and handmade shelter, clothing and furnishings out into the world to challenge and inspire. His writing is philosophical and practical, exploring themes of beauty, work, education, design and (of course) yurts. Richly illustrated with luminous color photographs by Peter Forbes. The main thrust of my work is not simple living – not yurt design, not social change, although each of these is important and receives large blocks of my time. But they are not central. My central concern is encouragement – encouraging people to seek, to experiment, to plan, to create and to dream. If enough people do this we will find a better way. In My Year In A Yurt, author Jen McGeehan tells the true story of how she and her husband, Pat, experienced a radical lifestyle change when they packed their bags, left their 3,000 square foot home with their realtor, and, with over $600,000 in debt, unknowingly entered the Tiny House Movement. With foreclosure and bankruptcy hitching a free ride, Jen sent yet another prayer to heaven asking for God’s divine intervention. 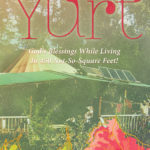 My Year In A Yurt unearths life-changing treasure through thirty-eight stories that reveal the humorous, bittersweet, and miraculous experiences of the McGeehans as they stepped into a once-in-a-lifetime journey that would soon mirror a national lifestyle movement. To receive your autographed copy of My Year In A Yurt, contact Jen McGeehan at [email protected] $13.99 plus $7.50 S & H (USA) S & H quoted for outside USA. A re-issue and update of Dan Kuehn’s 1980 plans for making a 13-foot diameter Mongolian yurt from bamboo or willow with a canvas cover. In Part One, UK yurt builder Paul King covers the history of the yurt, construction principles and “the etiquette of ger living”. Part Two gives instructions on how to make both Mongolian and Turkic yurts. 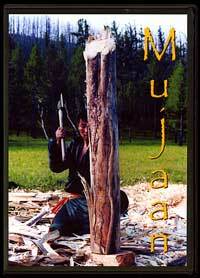 Lots of yurt stories and photos, mainly from the UK, with instructions for building a Mongolian-style ger. 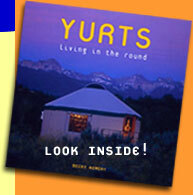 The focus is on traditional yurts with limited information on the North American versions. An inspirational “dream book” on homemade shelters, replete with photographs. Nice section on Bill Coperthwaite’s tapered wall yurts and some information on Mongolian gers. Simple Shelters introduces the principal types of wooden and stick-frame structures built around the world, examining how their shape and form reflect cultural and cosmological considerations as well as climatic and utilitarian needs. Charting the gradual shift from the circular homes of the nomads to the rectangular ones favored by settled people, Jonathan Horning explores materials and construction principles over millennia, including the geodesic experiments of the twentieth century. A children’s book containing photographs of homes around the world, accompanied by pen and watercolor drawings and written descriptions of everyday life in these homes. A magical book! This beautifully crafted documentary shows a Mongolian family building a ger, from trees and sheep to finished product.